The median salary of an Oracle Database Administrator (DBA) is $92,742 in the United States, per PayScale.com. It is understandable, therefore, why there are so many people eager to explore Oracle DBA career opportunities and educational paths. If you are interested in taking an Oracle DBA course, you more than likely have realized that there is a vast number of options from which to choose. Which path is the best to take and why? Here are several options worth your consideration. Developers are offered a wide range of effective web development tools as part of a database application class. This course usually shows students how to integrate these upper-level development tools within the Oracle database, in addition to simplifying the development process as much as possible to save time and money. If you are interested in focusing on the expeditious deployment of secure professional applications, studying database application within the world of Oracle may fulfill your professional needs. In addition to database application, there is also the option of data warehouse management (or warehousing.) With this particular field of Oracle database administration, companies and organizations are provided with a platform of business intelligence known for reliability and affordability. 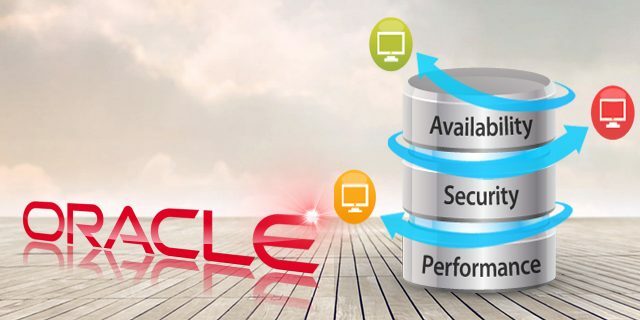 This type of Oracle DBA course will teach and train these IT professionals and administrators how to use Oracle to boost performance and drastically reduce expenses associated with storage and maintenance. Perhaps the core foundation of an Oracle DBA’s workload is managing the Oracle database. Therefore, it is essential to include an Oracle DBA course specifically targeting database management to the steps taken along your educational journey. With the increasing popularity of database clouds and reduced IT expenses, learning everything that you can about the standard Oracle database should be viewed more as a required step instead of an optional elective. Doing so will allow you to pay close attention to understanding how the products work in order to show you exactly who they can be used for to support your organization. Obtaining SQL certification presents its own list of benefits for database administrators. In addition to the popular Microsoft certification obtained by MSCA, Oracle professionals have increasingly drifted toward SQL certification themselves in recent years. As an open-source relational database, MySQL training is an essential and integral part of the process. It therefore has crystal clear value within the educational journey of an aspiring or experiencing Oracle database administrator. Within this particular course, students are trained to master the use of management tools and advanced features necessary to achieve superior levels of security, scalability and reliability. The value of any database administrator is based on the security, stability and overall structure of their database management system. This field of education allows you to build even more knowledge and experience in this part of your job. There is not one Oracle DBA course that is considered the “best” for all IT professionals. You must identify the course that is the best for you and your specific professional needs and ambitions.